The Ambassador is a short walk from the train station, at the foot of Zermatt’s main shopping street and close to the Bahnof ski shuttle and bus stop. 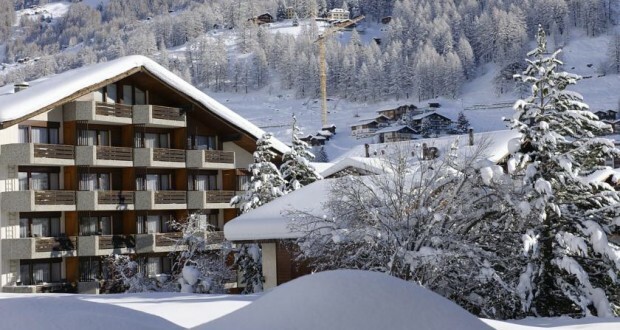 The hotel is Zermatt’s 3rd largest, with 92 rooms. It has two restaurants, a bar, sauna & large swimming pool.